As you know from my recent Insta Stories, I took advantage of my VIB ROUGE 15% OFF coupon and went to Sephora to buy some beauty products. This Mini Brush Set was an impulse buy __ when I saw it, I knew, I had to have it. Not only these brushes are super cute, but they are very soft too. I decided to pick up these Sephora Collection Cream Lip Stain Liquid Lipstick and Yves Saint Laurent Tatouage Couture Liquid Matt Lip Stain. They look kinda similar shades but in fact, they are very different. In coming weeks, I will share with you how I liked these products. Is it anything particular, you are interested in? Let me know in the comments below. those brushes look perfect for travelling, they are so pretty! They really are, aren't they. I couldn't miss them. what a great selection! I can't believe I missed the sale this time! Sephora Spring sale will continue this coming weekend, Yuka. Love the YSL Lip Stain! The color is so beautiful. Nice haul Nina! I bought only 3 products, Marc Jacobs new foundation, Clinique Cheek Pop in shade Fig Pop and repurchased Clinique TTDO Cleansing Balm. I wanted to buy Luminous Silk but might wait for end of the year 20% off. I'm so curious about Marc Jacobs new foundation. So jealous of your haul!! Everything looks so amazing! Looks like you got some great products! I love the lipsticks. Love the goodies you go, Nina! 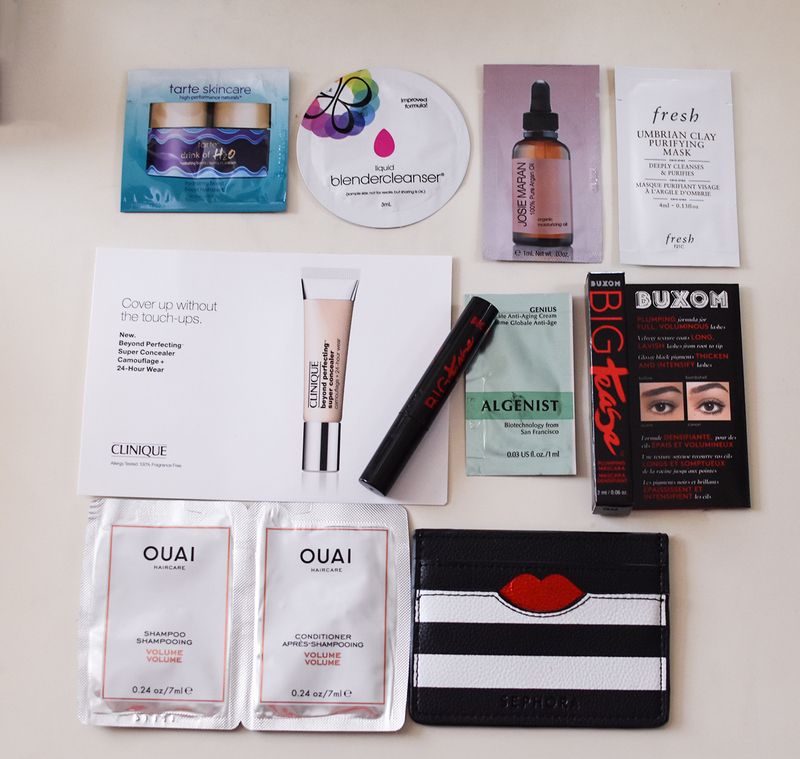 Oh you got some great things here, I love those lip colors and I have been wanting to try that rose eye gel from Fresh. Wow, you scored! 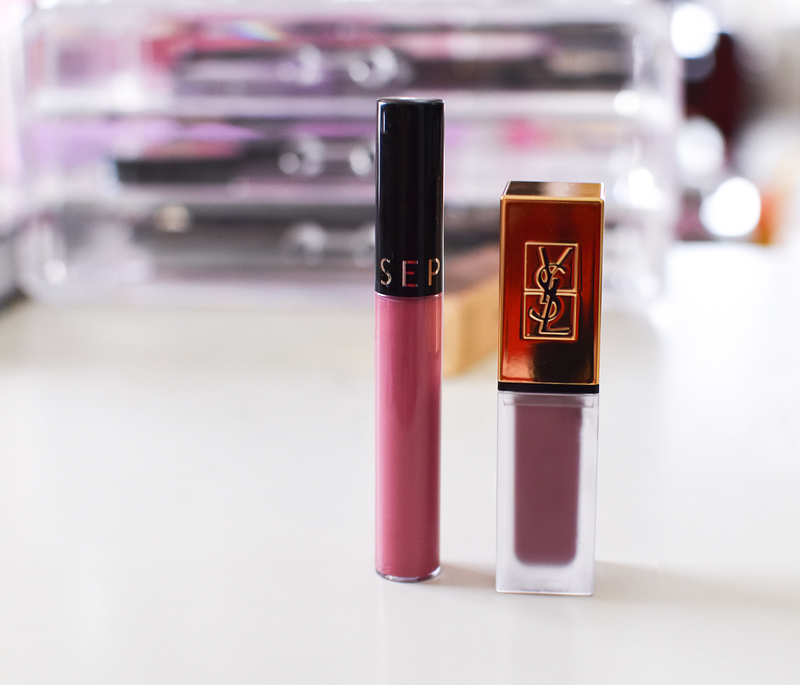 Love the YSL lip stain and the eye gel, great products. I love Sephora! That brush set case is adorable!! 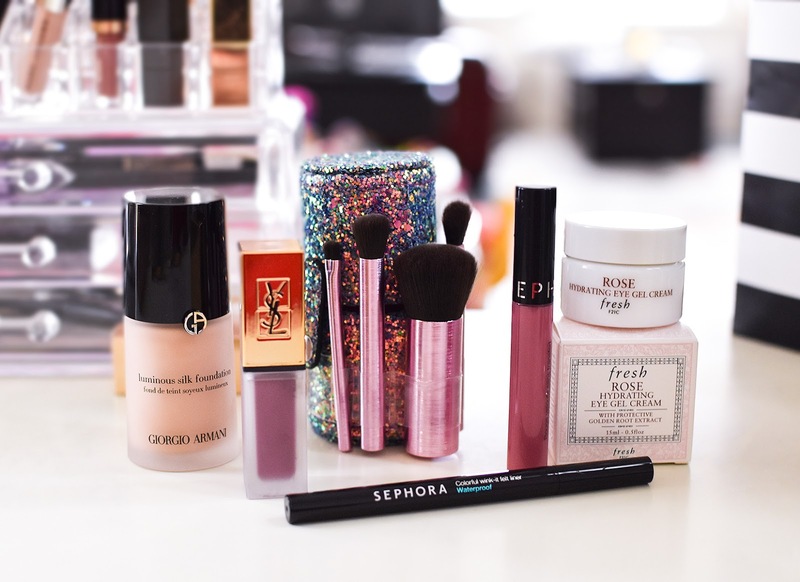 Unfortunately in my town there is no Sephora store, there are articles and products that I like so much. I'm loving those lip colours - perfect for Spring. 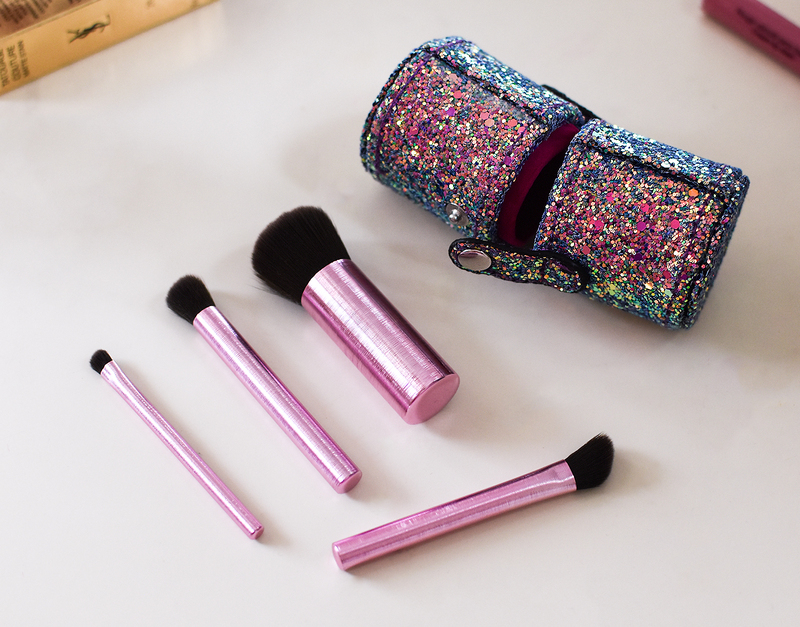 Also, the mini brushes are perfect for travel - the larger ones always take up so much space! I agree about the brushes. It's so convenient to carry travel size brushes during a trip. These products look amazing! I've totally fallen for these liquid lipsticks, the shades are very pretty. I love Sephora! So many great products! You too? I don't blame you , haha, same here. Lovely picks dear. I have that Giorgio Armani foundation too, it really feels amazing! Aloso, gorgeous shades on your lippies, especially the Sephora Collection. What nice buys from the sale! I really like the cute brushes you got :) Thank you for sharing! Love your beauty haul! Looks like you were very successful! You got some really great products here, girl! I can't wait to read your thoughts on them after trying them out. I picked up some goodies, too, which I haven't yet received, since I ordered online. Thanks for sharing and I hope you have a great week! Such a great selection! Love all these products! Oh you got so many goodies!! I have to try some of these. I bought a few things but I wish I got more!! You got so much good stuff! Love it! Great haul, I love that YSL lip stain! WOW, so many interesting items!! I'm very curious about the Fresh Rose Hydrating Eye Gel Cream! Please, do a review on it! Ooooh, I love that mini brush set!! Such a great selection! Those brushes are the cutest!